If you have high blood pressure, it does not mean that you should use anti-hypertensive pills right away. 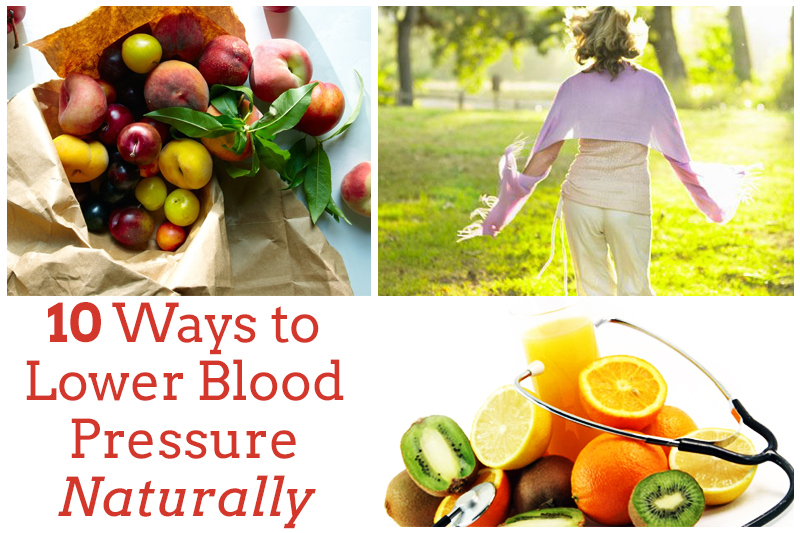 There are many natural ways to lower blood pressure. Every third person on the planet face problems with his blood pressure from time to time or constantly. Many of that kind of people are subject to several factors that negatively affect the work of the cardiovascular system. The easiest way to reduce the blood pressure immediately is to drink some water. Cool beverages can lessen the blood pressure, while hot drinks on contrary – can increase it. Abnormal blood pressure can be caused by the shortage of some substances in the body. Vitamins and minerals can replace some medications for hypertension treatment. Natural additives, containing magnesium, cod-liver oil and vitamins of B group have made a good showing in the therapy of high blood pressure. You can buy over-the-counter natural additives at traditional pharmacies and on online pharmacies. Natural vitamins and minerals allow normalizing the blood pressure, as well as improving the function of all organs and systems of the body. Some methods of relaxation and stress relief can help to reduce the blood pressure quickly and effectively. Breathing exercises and meditation can calm you down and stabilize your heart rhythms. According to medical studies, the relaxation not only suppresses the symptoms of psychological disorders, like anxiety, but also provides a significant effect on physiological parameters, including heart rate, blood pressure, the oxygen consumption and brain activity. In order to get the maximum benefit, use some relaxation methods along with other positive problem solving methods, such as positive thinking, humor, time management, regular sleep and communication. Natural ways to lower blood pressure without medications can include brain training, concentration and contemplation. Meditation helps to become friends with yourself, makes you free from irritated reaction and teaches you to accept things as they are. Relaxation allows normalizing the blood pressure and improving the quality of life. People with high blood pressure are recommended to practice daily relaxation methods, directed to the reduction of stress symptoms. The main causes of high blood pressure are bad heredity, excess weight, excessive fluid in the body and narrowing of the lumen of the blood vessels (atherosclerosis). Special diets help normalizing the blood pressure in a natural way, thereby reducing the risk of stroke or heart attack. Cut down salt intake. This will improve the function of your cardiovascular system, as well as remove the excess liquid from the body. Also, cut down the alcohol intake. As clinical research has shown, alcohol refusal can stabilize the blood pressure levels. Stop eating fast food and other junk foods. Instead, you should eat more fish and seafood. In fact, fish contains many essential substances that are not produced in the human body. Low-calorie diets to lower blood pressure must consist of fruit, vegetables and fat-free dairy products. Get rid of foods, containing a large amount of cholesterol and saturated fats. Changing your eating preferences is usually the first step towards the lower blood pressure. If you use some other methods in addition to diets, like change of lifestyle, your blood pressure will be reduced much faster. Physical exercises are good for a natural and immediate decrease in the blood pressure. Increased physical activity provides a positive effect on work of the heart muscle in the medium and the long term. Make sure you do physical exercises regularly, 30 to 60 minutes a day. Start with light-intensity and moderate-intensity exercises. Brisk walk and jogging are perfect for that. Physical exercises can lessen the blood pressure by 5-10 mmHg in two weeks. Workouts must not be too intense. If you missed an exercise, do not increase exercises intensity, because intense exercises are contraindicated in hypertension. Even just a usual walk in the park is more effective than medications for hypertension treatment. If you do not know which exercises are best for a good work of the cardiovascular system, consult your personal trainer. Physical exercises allow to lose weight much faster. Set yourself a goal to lose 5 kg first. This will help you to lower blood pressure and encourage to achieve new goals. Try to walk instead of driving a car. Do not use elevator too often, you can take stairs when you need to go up and down. Any physical activities involving movement are good for you; while weights lifting and strength exercises on a simulator can even increase your blood pressure. Natural ways to lower blood pressure during pregnancy may consist of various combined methods, taking into account the causes of high blood pressure. Special diets and other natural ways stabilizing the hormonal level are also effective. Natural ways to lower blood pressure listed in this review can improve function of the cardiovascular system in just 2-3 weeks. If you suffer from hypertension, it is recommended to measure the blood pressure regularly. The blood pressure control allows you to choose methods of treatment that are most effective for your body. By following current guidelines on exercise—30 minutes a day, most days a week—you can bring down your blood pressure significantly, says Gerald Fletcher, MD, a cardiologist at the Mayo Clinic, in Jacksonville, Fla., and a spokesman for the American Heart Association. If you’ve been sedentary, try aerobic exercise to reduce your systolic blood pressure—the top number—by three to five points, and the bottom by two to three, says Dr. Fletcher. According to the 2010 Dietary Guidelines for Americans, people with hypertension may especially benefit from upping the amount of potassium in their diet. Adults should get at least 4,700 milligrams a day. A few good sources: bananas (422 milligrams each), a baked potato with skin (738 milligrams), orange juice (496 milligrams per cup), and nonfat or low-fat yogurt (531–579 milligrams per 8 ounces). “There are a number of things that people have developed as practices to induce a state of relaxation and … which one is better, which is the right one, these are questions that remain to be answered in clinical trials,” he says. Nevertheless, Burg recommends that people with high blood pressure look into stress management and find an approach they will be able to practice consistently.